PURCHASE YOUR Hiking Log and Passport Book TODAY! Europeans have been using hiking passports for centuries. 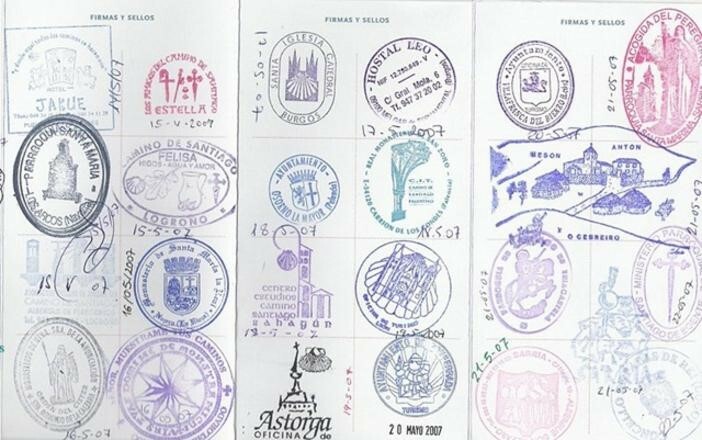 These passports were used to collect stamps at hostels along the Camino de Santiago trail in Spain to document their journey. It provided hikers with a record of where they slept, but also served as proof that the journey was accomplished according to the official route. These colorful logs have stood the test of time and create a fun way for you to remember your journey. Hike It Florida now offers a Hiking Log and Passport Book to help you record details of your favorite hikes. With close to 200 stamp locations around the state, you will fill your stamp book quickly. Most hiker friendly lodgings, stores, shuttles and gear outfitters have a personalized stamper for you to add to your collection. Additionally, there are stamping locations at each State Park and National Park in Florida, as well as specialty stamps at other Florida Trail Association events. You can also get a stamp from a local Post Office with the purchase of a 1 cent stamp. Stamps will be added as more locations participate! This book makes for a truly memorable keepsake for all hikers. The Hiking Log and Passport Book is approx 4″ wide, 6″ long and has 10 pages that will hold 60 stamps and pages to enter notes to document your favorite hikes. Click here to purchase your Hiking Log and Passport Book today!